At Hockey for Heroes we're honoured to have some truly great ambassadors. Some have served in the armed forces, some represented team GB but all have given their time to help support our charity and our injured service personnel. For Andy Halliday, the opportunity to manage the GB Men's Olympic hockey team in 2012 was the pinnacle of an enthralling journey. After a career spanning three decades policing London and balancing the demands of international sport, he is able to reflect on a wealth of experience at the sharp end of life. Whether it is the crime frontline of eighties Britain or the fight against global terrorism over the last 20 years, he has a story to tell. With such despair at the bombings of July 2005 contrasting the joys of July 2012, he has witnessed, first hand, the very worst and the very best of life in our capital city. From International sport to high performing specialist police teams, he now draws on some incredible experiences and talks openly of life in an elite team environment. "You've got to experience the lows to enable the highs". Its not just about success, his story encapsulates joy, despair and pretty much everything in between. However, living close to the edge can take its toll as Andy well knows. Over the years, he has developed his own strategy to manage the psychological stresses and physical strain of such a pressurised environment. He continues to manage the GB Mens hockey team as they prepare for Tokyo 2020. In his spare time, he claims to have invented 'extreme hockey dribbling' and his dribbling challenges have raised thousands of pounds for charity. He dribbled a ball 200 miles from Cardiff to London in support of Hockey4Heroes 'Operation Stretcher' in 2017. Andy utilises his experiences working on elite teams to support our Hockey4Heroes squads, both as a fundraiser and by spreading the H4H message to our global hockey family. 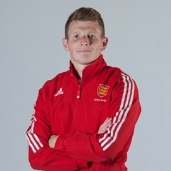 He is also a mentor on the Pathfinder scheme at Help4Heroes, an ambassador for Access Sport and Disability hockey and incredibly proud of the work he has done with the FRE Flyers, an Olympic legacy project for disadvantaged youngsters in Newham. Ward started cutting his teeth in the hockey world as one of the "Banana Bunch"; the name for Leicester Hockey club's mixed youth development group, which he attended with his sister. After Leicester he moved on to Beeston, where he earned a reputation as a prolific goal scorer on the domestic scene. Ward forced his way into the international reckoning over the summer of 2014 after another goal-laden season in the Premier Division. The Beeston striker made his Great Britain debut against France during the series in October 2014 but will perhaps be remembered more for his England debut, where he struck twice in a 3-1 win over Australia at the 2014 Champions Trophy. A natural goalscorer who isn't afraid to get in where it hurts in the circle, Ward is also another useful weapon on penalty corners and competed in his first Olympics in Rio. 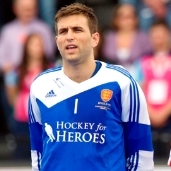 George made his international tournament debut in 2011 at the Champions Trophy in Auckland where the team finished sixth, four years after his first international game against New Zealand. George, from Ipswich, plays his club hockey at Holcombe in Kent. In June 2012 he was one of seven GB hockey athletes to pose for the centrefold of Cosmopolitan magazine as part of a campaign to raise awareness of male cancers and the Everyman cancer charity, and he was a reserve athlete for the Olympic team that year and has stepped up into the No1 slot since 2012, winning goalkeeper of the tournament at the Hockey Champions Trophy in 2016 before heading off to Rio for his first Olympics as the No1. Since making her debut in 2013, Pearne-Webb has gone on to prove herself to be one of the best defenders in the world. It was Hollie who netted the decisive penalty for Great Britain in their famous Olympic Gold medal win to spark wild and memorable scenes. Hollie is a tough and determined defender with a mean hit and also has a gold European medal to her name. In 2017 her performances led England to bronze at the EuroHockey Championships and saw her named as the player of the tournament. Hollie started at Belper hockey club after they advertised their Sunday morning junior sessions at the local primary schools, falling in love with the sport from the very first session. From there she followed it all the way to making her England debut against South Africa in Cape Town in 2013, just before finishing her degree in Economics from the University of Sheffield. Pearne-Webb is a superb defender with a mean hit and Olympic and European gold medals to her name. A fan of being active, Hollie also enjoyed netball in school and other sports outside of hockey, as well as coaching local youngsters when she's not playing. Simon served 10 years in the Light Infantry, doing three operational tours of Northern Ireland as a Platoon Commander and Signals Officer. He also served in Canada and the USA. At the same time he played hockey for the Army, England and Great Britain, winning 104 full international caps, 17 as captain. He retired after the Olympics in Atlanta in 1996. Simon spent 20 years in the City of London, co founding Majedie Asset Management, a fund management company. He retired from that in December 2016, and now works as a volunteer for the Rifles, the British Army’s largest infantry regiment, serving as Assistant Regimental Secretary. 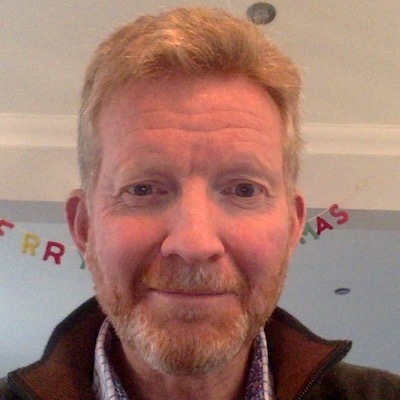 Simon is President of Winchester Hockey Club and a keen supporter of Hockey4Heroes.